Bridgestone Staff Member Brandt Snedeker was kind enough to give THP 10 minutes of his time before teeing off for his practice round at the AT&T National. His time was limited but Brandt was a very easy and fun person to talk to. He also has used technology that is available to everyone in order to help his game, read on and perhaps it may inspire you to try it as well. THP– We’re here hanging out with Brandt Snedeker at the first tee prior to his practice round here at the AT&T National. Brandt, welcome to Philadelphia, PA! Brandt Snedeker– Thanks Todd, great to be here. Beautiful area up here at Aronimink. THP– Have you seen the course yet? Brandt– I have not. This is my first time here and I’ve heard a lot of good things about it. My caddy has been out today and he said it looks like it’s in great shape and a great golf course. I’m really excited about playing here, it should be a good test. I haven’t played too many of the old style of golf courses like this so I’m excited to see it. THP– What’s your caddie told you about the course? Brandt– Um, just to get ready to play some tough golf. The rough is supposed to be real thick and the course as a whole is supposed to be firmed up and the greens are rumored to be real fast and undulating. I love that kind of golf and I’m really looking forward to getting out here and seeing how well I do. THP– So right now you’re playing the B330-S golf ball? THP– Did you go through the same Bridgestone Ball Fitting that’s available to the general public? Brandt– I did! That was the best way for me to kinda narrow down the options we were looking at. I kinda fell between the B330-S and B330 but I like the softer feel around the greens so I went with the S you know? The 330 is a little longer off the tee but I gave up a few yards for a little better feeling and control. Not sure if I can say this but there’s a new ball coming outwith, hopefully in the fall, that ‘s going to be a combination of both the B330 and B330-S. I’ve tested it a few times and it’s really good and I’m looking forward to getting it in play. THP– Do you recommend ball fittings for the everyday golfer? Brandt– It’s essential. For us out here, you know, we’ve been doing this for years and testing shafts, drivers, different lofts, and just trying to figure out what fits us best. The one thing you have that you play all day is your golf ball so you need to make sure first and foremost that you’re playing the right golf ball. Before you get new irons, a new driver, new shafts, whatever it may be, make sure your golf ball fits you and your game. The ball is the most important thing and you’re using it every shot all day long so it’s important to maximize the areas of your game like spin, control, and distance. THP– You haven’t won since 2007 but you’ve had 3 Top 10 finishes this year so far, do you feel like your game is coming around to 2007 form? Brandt– Yeah it is. I kinda had, well consistent is being nice , I kinda had a rough couple of months in the middle of the year where I wasn’t playing great and I’ve put in a lot of hard work to fix that. I saw some glimpses at the US Open where I played really well on the weekend and I feel like I’m really close to playing some good golf again. Last was kinda tough, I playing good but I was exhausted after the Open but this week I feel real good about my game and I’m excited about this tournament. 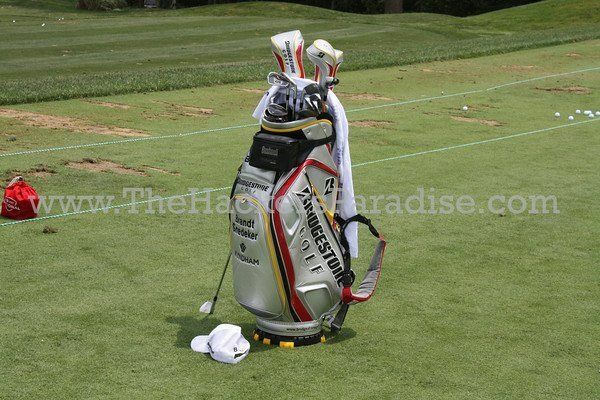 THP– What do you do for fun to take your mind off of golf? Brandt– Relaxing with friends back home in Tennessee, depending on the season maybe watching some Vanderbilt University sports. THP– Brandt I know you have to run and tee off but thank you for your time today and good luck out there. Brandt– Thanks so much this was fun. good job thanks! that’s awesome, you’ve met a pga star. i have always been a fan of brandt’s, he’s a good southern boy. pretty cool that he’s been through the ball fitting as wel. Great interview Thanks. Brandt is one of the best guys out there. Love the insider info. Thanks, T.
Fun interview, enjoyed reading it. Brandt was my darkhorse pick to win a tournament this year, and he’s come close a few times. Hope he finishes the job soon! These short inside information segments are great. Brandt sounds a down to earth great guy.